The first trail you will come to will be on the left at the top of a hill. If you choose this route you will climb to a peak and it's pretty much very steep extremely steep rocky downhills. Go left at the T, at the bottom of the first hill you go down. It's about an 8th mile to the T. (If you continue straight, the trail will take you to another smaller peak then send you off to the right on some sweet fast rocky downhill. This way I don't recommend because it dead ends and gets pretty nasty at the bottom. You have to turn around and go back up the hill to get back to your car.) This trail is a couple miles back to the trailhead you parked at. If you continue to go the fire road you will see the park mgmt has marked trees with white paint until you reach the next trailhead on your right. Follow the white trails and marker post arrows. This is the sweet long cross country trail with a lot of fast doubletrack going down the hills. ( You will get muddy on this trail ). This trail is about 5 miles. There will be a T on a ridge that you come to with a marker post. To stay on the legal trails you will continue down the hill. When you finally reach the bottom you will ride in a valley for a couple miles then there will be a trail to your right at a creek crossing. It is marked Cemetary Bridal Trail. Take this trail to get back to your car. It will come out across from where you park. These are somewhat remote trails and are definately too dangerous for beginners. Prepare to get muddy and wet on both these trails. Bring plenty of water. Review: There are good trails here if you know how to get to them. You can hit multiple trails by way of fire roads. 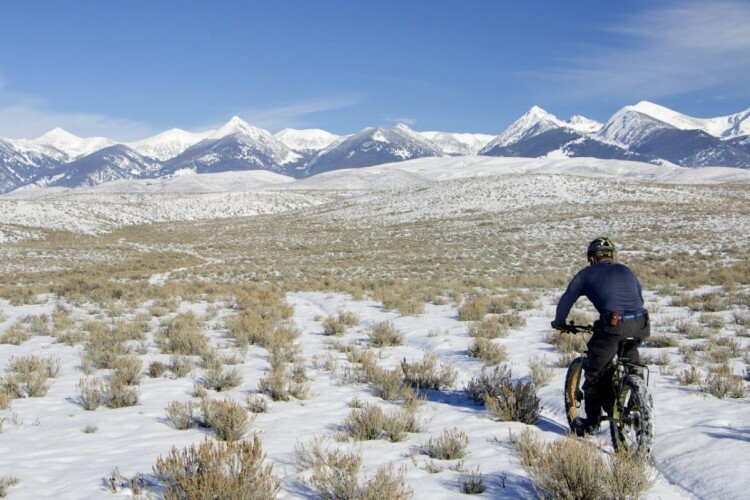 The fire roads are a good option for winter months and when trails are too wet to ride. You can pretty much get as much mileage and climbing as you wish. 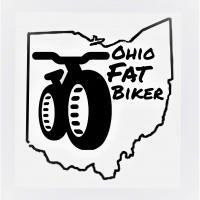 If you've never been I suggest finding someone who knows the area to ride with as you learn your way. Review: This trail kicked! Make sure you have skills before you ride these trails. There's a fire road east of the park entrance called N Ridge Rd. It is on the North side of Stoney Creek Rd. That's where the bridge you cross to the trail head is located. 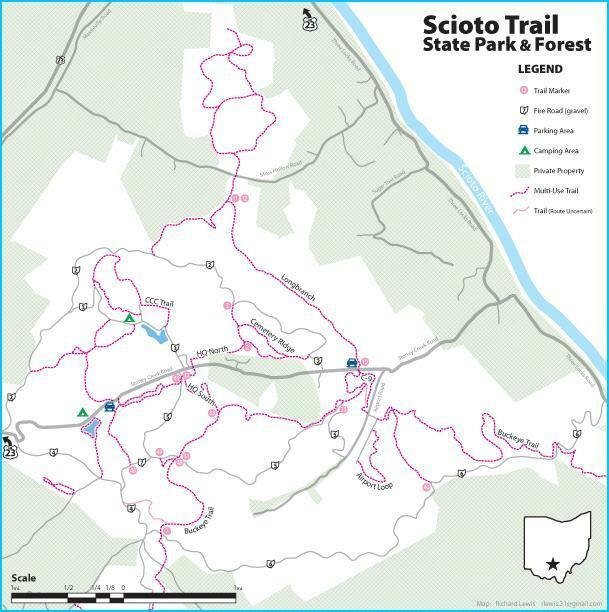 Scioto Trail State Park MTB Trail 4.33 out of 5 based on 3 ratings. 3 user reviews.